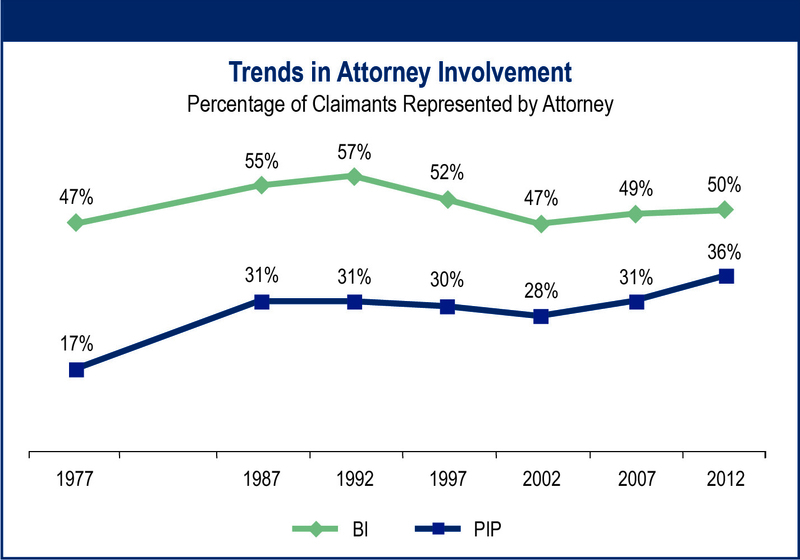 This report uses data from the 2012 closed claim study to examine trends in the rate of attorney involvement in auto injury claims over time and across states. It also provides details on the interaction between the presence of attorneys and cost drivers such as medical treatment and claim abuse and looks at how represented claimants fare compared to claimants without attorneys with respect to claim payment and time to settlement. 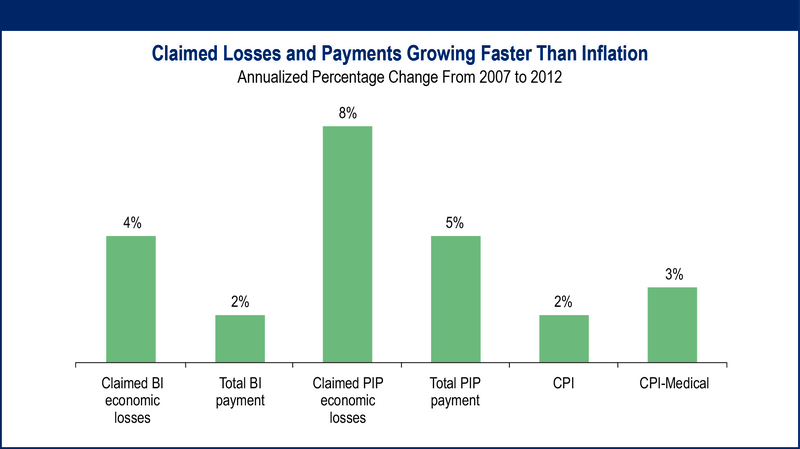 This publication shows dramatic increases in claimed medical expenses and examines some of the factors driving them. 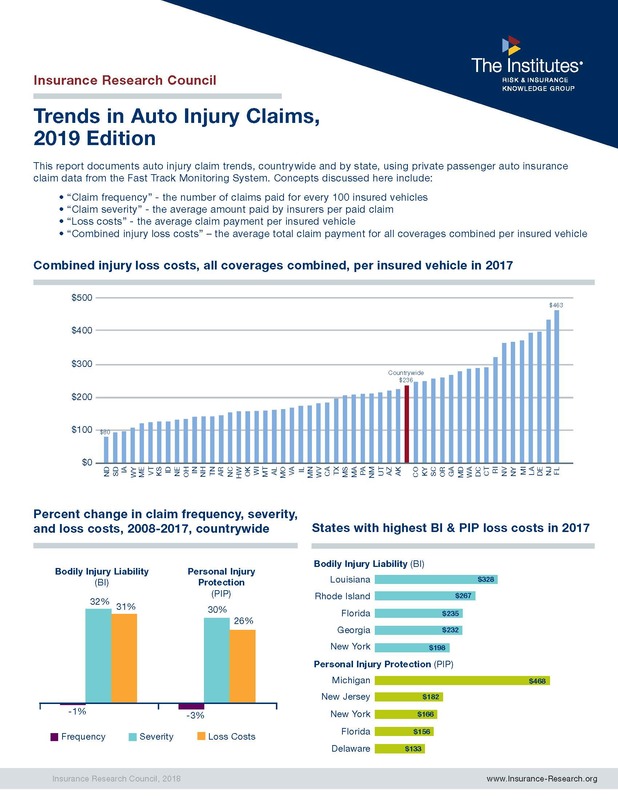 The closed claim study, the seventh of its kind conducted by the IRC, is based on a sample of more than 35,000 auto injury claims paid in 2012. 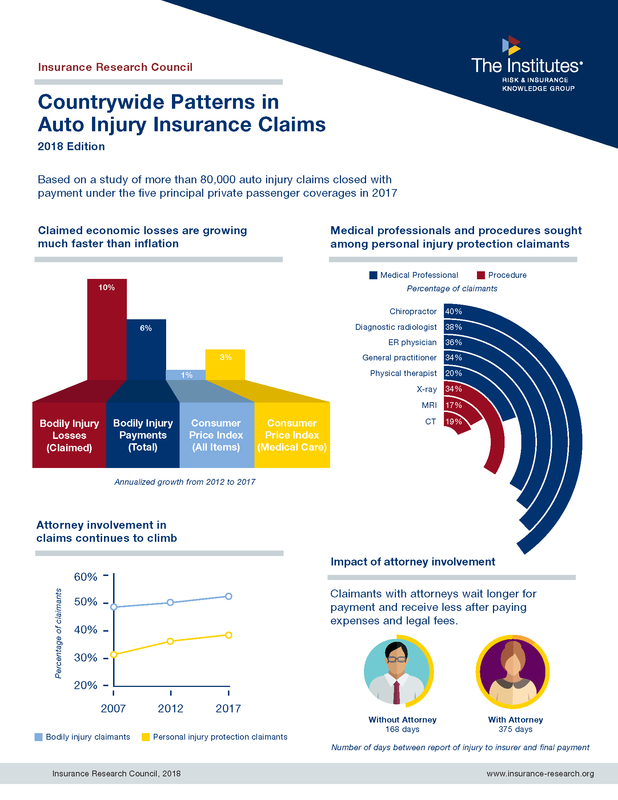 The study examines trends in claim patterns, including details on injuries, medical treatment, claimed losses and payments, attorney involvement, and fraud. 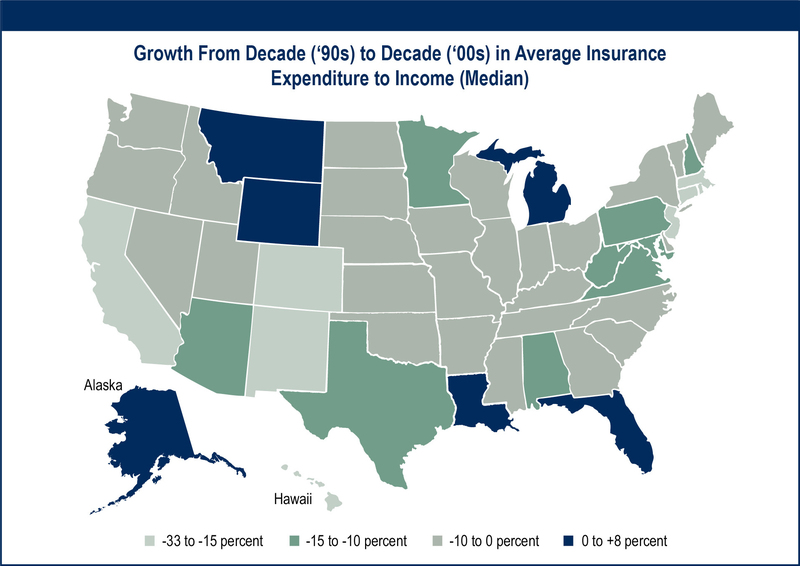 This report presents a new methodology for studying automobile insurance affordability and examines changes and differences in affordability over time and across states. 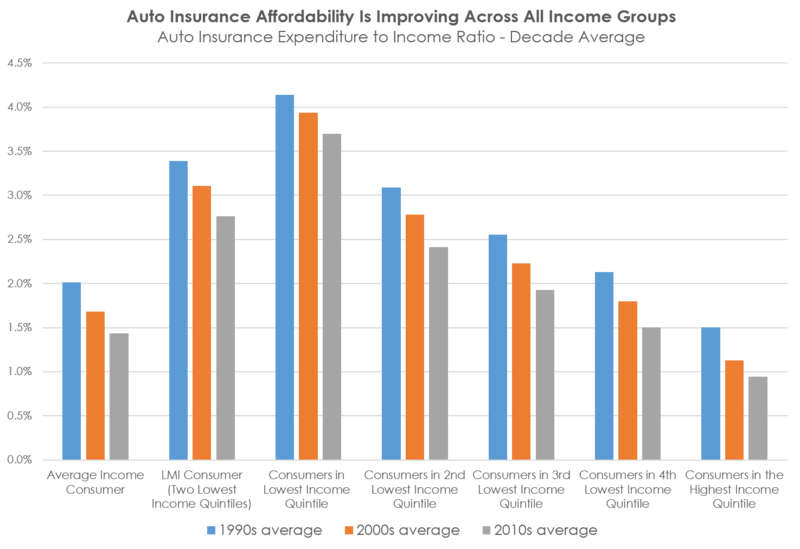 The study also inspects the drivers of automobile insurance affordability. 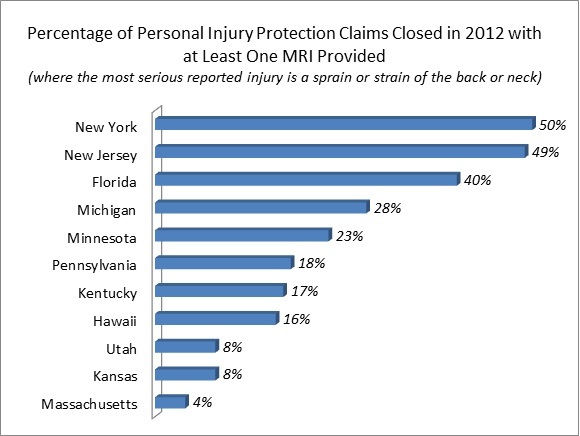 Based on a detailed review of more than 30,000 auto injury claims closed with payment in 2012, this report documents substantial differences across states in the utilization of key medical diagnostic and treatment services. The study examined utilization patterns for MRIs and CT scans, as well as for treatment provided by chiropractors and physical therapists. 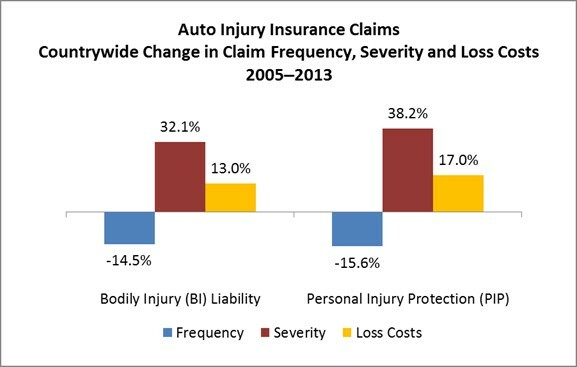 Documenting extreme variation in utilization patterns for similar types of claims suggests opportunities for improving the quality of care provided to auto injury claimants and reducing the cost of auto injury claims.